If you are playing anywhere else you are wasting your time! Stop by for the action! Also, feel free to let us know how we’re doing or what we can do to improve our poker rooms. 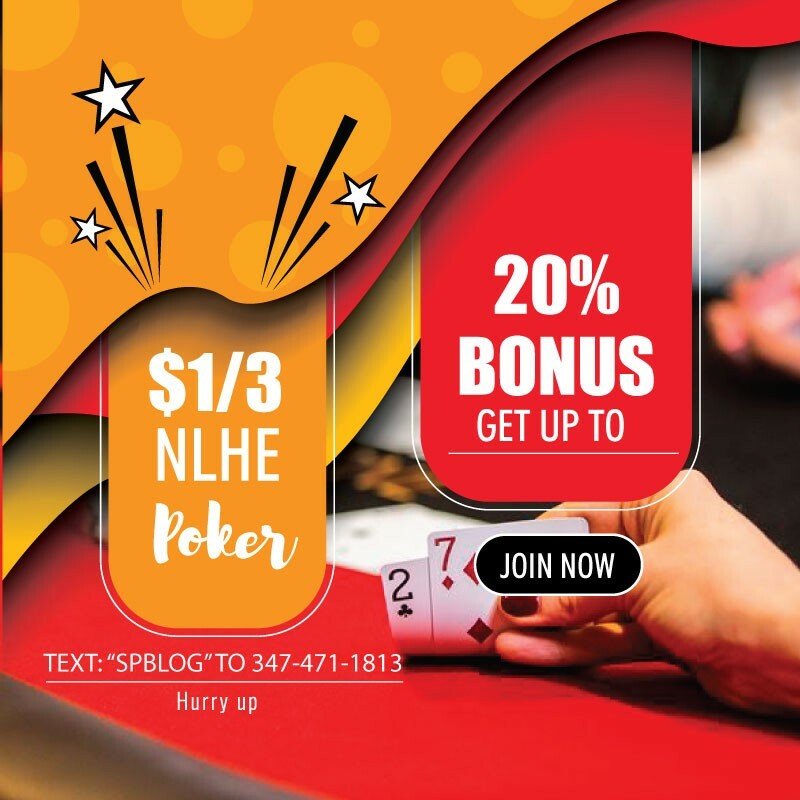 Register now at NYC’s best poker room! Grab Your Signup Bonus and Play No Hold’em at NYCPT. Text “SPBLOG” to (347) 471-1813 with full name, email & occupation or fill the form to join the action.